This serves to advise all estate agents who wrote the Professional Designation Examination (PDE) in February that PDE results are now available on the MyEAAB portal. 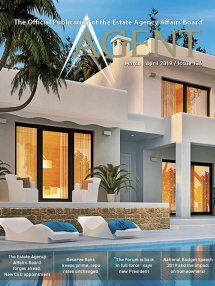 The EAAB reminds professional estate agents, excluding only current intern estate agents, that they must register for participation in the 2019 CPD programme by no later than 31 March 2019. This is particularly relevant for those former intern estate agents who obtained full status as estate agents during the course of 2018. The Estate Agency Affairs Board (the EAAB) has a mandate to regulate and control certain activities of estate agents in the public interest. This serves to notify all eligible PDE candidates (including intern estate agents who have met the necessary internship, logbook and qualification requirements) that they may now register for the PDE scheduled to take place on 08 November 2018 by accessing the ”MyEAAB” portal. The fourteen selected topics, and Integrated Real Estate Dialogues, comprising the CPD programme for 2018 CPD participants are advised that the CPD programme for 2018 comprises the following fourteen topics, six of which are reserved for principals only. 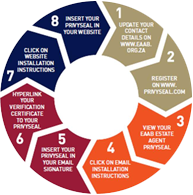 All renewals shall be performed on the MyEAAB Agents Portal accessible through the EAAB website through the link https://www.eaab.org.za/myffc. As December 2017 rapidly draws near, full status estate agents (excluding presently registered intern estate agents), are again reminded that they must ensure that they comply with mandatory Continuing Professional Development (CPD) requirements if they wish to continue legally to practice as such. The Property Practitioners Bill is intended to repeal the current Estate Agency Affairs Act, 1976 (Act No. 112 of 1976). This serves to confirm that the Property Practitioners Bill, 2016 as Gazetted has been published for public comment. The period for comments on any of the provisions of the Bill is to be made within 30 days from publication of the Bill. I, Mr Thomas Makupo, was appointed as the Curator Bonis of Beyers Realty Group (Pty) Ltd (“the company”) on 30 September 2016 by the Western Cape High Court to, among other things, administer and control the trust accounts of the company. The EAAB wishes to remind estate agents that all persons holding a valid fidelity fund certificate, in the capacity of either principal or non-principal estate agent but excluding intern estate agents, must register for CPD purposes in 2017.